As the MOBA genre continues to expand and evolve, more games are blurring the lines, turning the outer fringes of what it means to be a MOBA into a murky undefined zone. Now we have an upcoming F2P title by Motiga that plans to blur the realms of MOBA, FPS and Platforming into the unified monstrosity that is Gigantic. 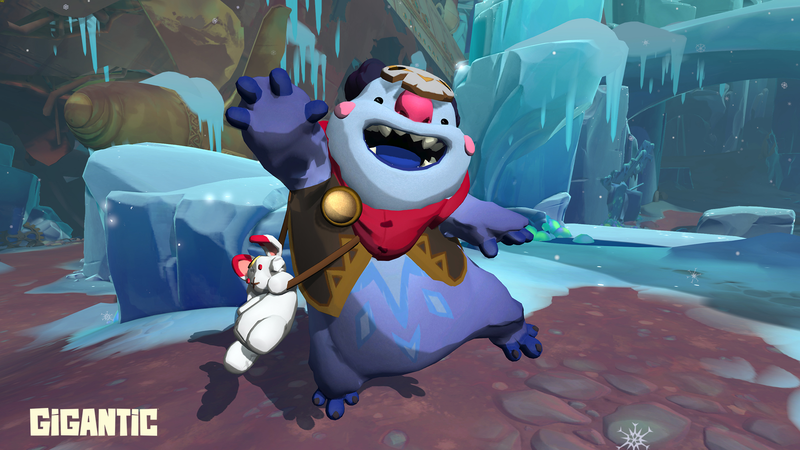 Branded as a “Shooter MOBA,” Gigantic focuses less on dealing with units, creeps and other complexities that turn AoS-style MOBAs into mini-games. 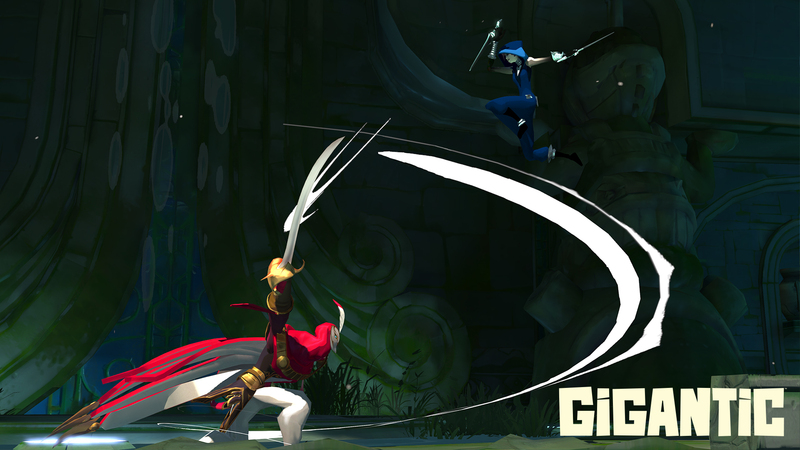 Instead Gigantic focuses on fast-paced action and accessible combat for fans of just about every competitive genre out there. Two teams of five players will battle against each other to power up a giant creature known as a “guardian” in order to attack and defeat the enemy team’s guardian to win. It sounds simple at first, but in practice, there’s so much more to Gigantic than meets the eye. So when players first start the game up, they are given the chance to play through a tutorial which will teach them the basics, and it does a fairly decent job with every detail of a single match. They’ll learn how to summon creatures, upgrade creatures, steal power from enemy guardians and more, and overall the tutorial only takes a few minutes to complete. After that, players are shown a simple main menu were they can select what creatures they can bring to battle and start a match through a matchmaking system. At the moment, the options are very barebones, but what’s currently available is more than enough to enjoy the game for hours on end, or at least I would find myself playing for hours on end, due to how fun and frantic the gameplay is, but more on that later. Before jumping into a match, players can choose which guardian team they want to play on (House Aurion with the giant Griffon or House Devaerda with the giant Naga), then select which heroes they want to play as. There’s currently 15 heroes available and the variety between each of them is impressive. 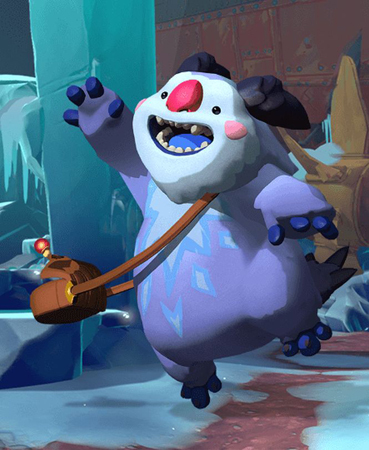 One of the more interesting aspects with Gigantic’s hero roster is that each hero is not only designed to fit different playstyles, but to appeal to different game genres, as well. Enjoy playing as a tank in MMORPGs? Then go with The Margrave. Love pestering enemies as a sniper in FPS games? Then Imani might be your girl. How about pet classes in MMORPGs? Give Aisling a try. Fond of Hack & Slash or Beat Em’ Ups? Then pick Tyto the Swift or Lord Knossos. Out of all the heroes in the roster, my personal favorite has to be Wu, the martial artist. He’s one of the more difficult melee-focused characters to pick up, but with very skillful play, he can be one of the deadliest duelists heroes, as all of his attacks can be chained into one huge combo. As the developers at Motiga have stated, Wu was designed to appeal to gamers who enjoy fighting games. While this game doesn’t have players pulling off complex attack inputs, they still nailed the concepts down incredible well without full on demolishing what it means to be a MOBA. Not only is the current hero roster filled with variety, the design of the heroes themselves are colorful and diverse, with crazy monster summoning grannies, clunky robots, a hybrid fox/wolf/deer creature who’s constantly grumpy, an adorable goblin wizard that look like a cross between an oversized green cat and Orko from He-Man, and so much more. They’re incredibly well designed, attractive and break common tropes of just having human only or human-like characters. 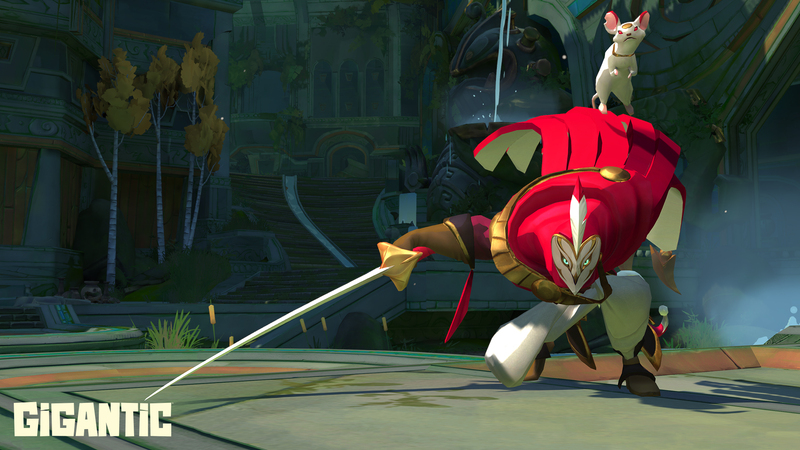 Tyto the Swift, in particular, has a design I appreciated the most; you see for the longest time I had NO idea that Tyto had only one arm, mostly due to the long cape that covers his left side, along with how fast the character moves and attacks. It was only until a recent developer livestream by Motiga that I finally started to notice the missing left arm. For the record: I have never been fond of the MOBA genre, mostly due to the genre’s roots stemming from RTS games. While I do enjoy playing RTS games with single player campaigns, multiplayer is a whole different beast, with so much micromanagement to deal with while keeping with teammates and opponents, and the MOBA genre retains the concepts of micromanagement with gold and equipment upgrades rather than micromanagement of player units and buildings; it can feel like I’m playing two different kinds of games at once. Gigantic, on the other hand, focuses less on micromanagement and makes stat upgrading a lot more accessible. By limiting skill upgrades with two tiers for active skills (with two path choices) and four passives, it doesn’t seem like much at first, but Gigantic gives just enough options for any player to create a skillset that suits their playstyle. Plus with more accessible choices, players can spend more time on what matters: The combat. As far as a live match goes, usually the first things players will have to do is focus on summoning creatures near their home base (with said base being their guardian). At the moment, the game only has four different summons, including a drake for offense, cyclops for defense, bloomer for healing and Cerberus for support/utility. Summoning creatures aren’t instant and will take considerable amounts of time depending on how far your summons are from the home base. Plus, summons are vulnerable to enemy attacks while they’re being summoned, so players will have to choose to hang back and make sure that their summoned creatures can generate enough health to stand on their own, or charge back into the fray to hit their foes’ summons while they’re still weak. These are incredibly important because summoned creatures not only give active and passive buffs to teammates, but also generate power for your guardian. Losing a summoned creature has a big cost, so they need to be your priority focus through most of the game. Thankfully the UI and mini-map combined make this much less of a chore. Between all the summoning and team fights, once a guardian gets powered up, it will rampage across the battlefield and destroy objects and enemies in its path. Once a guardian reaches its target and knocks it down, the knocked down guardian is now vulnerable to player damage. Guardians live on three bars of health, and only a single bar can be knocked out during a each assault phase. Once more: This seems simple and straight forward, but during these phases, players will have to decide whether to defend the guardian and not, because enemy players could use their guardian’s rampage as a distraction to take out that powerful summoned creature that the enemy team worked so hard on, instead. That’s the one thing about Gigantic that I absolutely love: The chaos in each match. Guardians rampaging across the field while reshaping the arena with destructible environments. Constant fights for control over summoning circles. Enemy players attempting to sneak past enemy lines to steal power when no one is keeping guard. Sparks and explosions everywhere. This all happens very frequently and it’s an absolute joy to see who’s still standing (and who isn’t) when the dust clears. 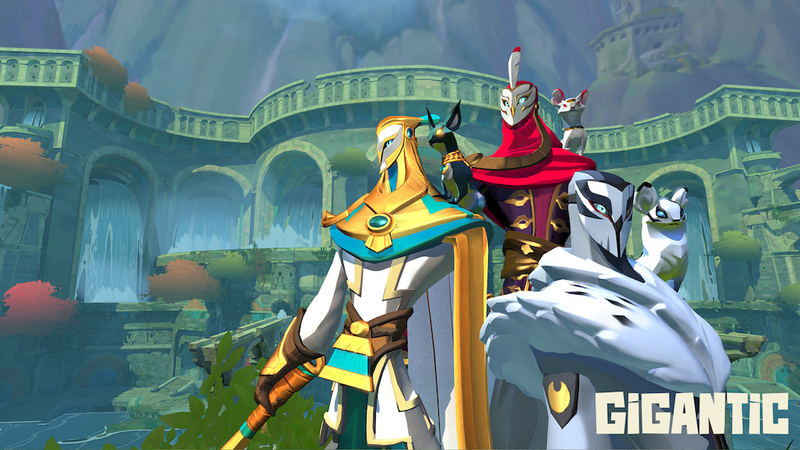 My overall impressions for Gigantic is that there’s a lot going for it as a quality team-based action game. It took me a few matches to understand how each match flows from start to finish, but once I figured it all out, I was hooked. The unique gameplay that each hero brings to battle, the moment to moment team fights that can shift the balance of power at any given moment, and the final turning point of the Clash truly makes every battle special. At the moment, what’s missing from the game is a proper chat system and the option to play with friends. 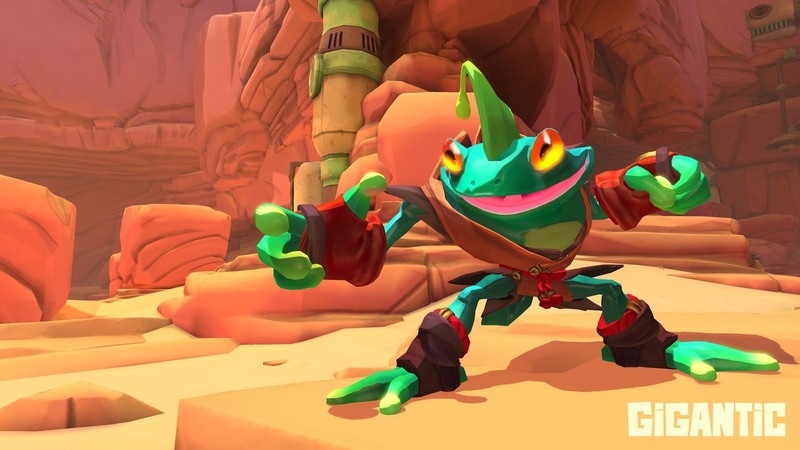 While I’m certain that all of these elements will be included in the near future, the only other thing Gigantic needs is some cosmetic items for players to spend and work towards. As a person who isn’t very fond of the MOBA genre, this is quite easily the best MOBA game I have ever played, and I can’t wait to see what will become of Gigantic when it goes live. 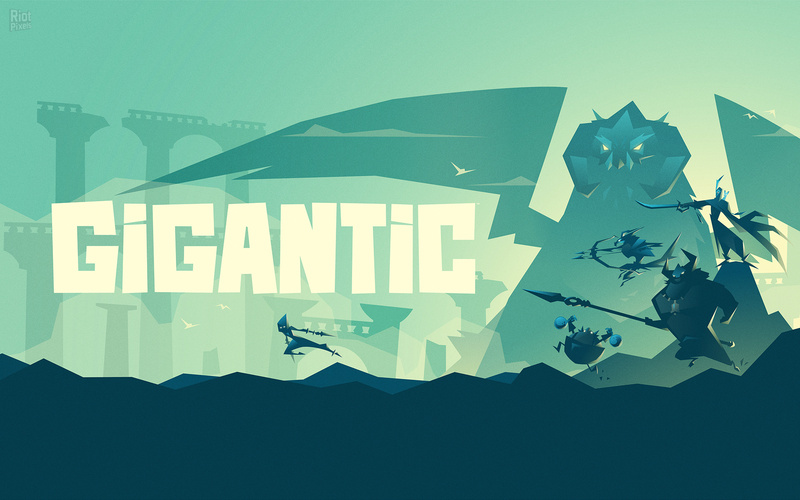 Ready to experience Gigantic for yourself? We have a limited number of keys up for grabs! Don’t miss out, first come, first serve. Check it out here!